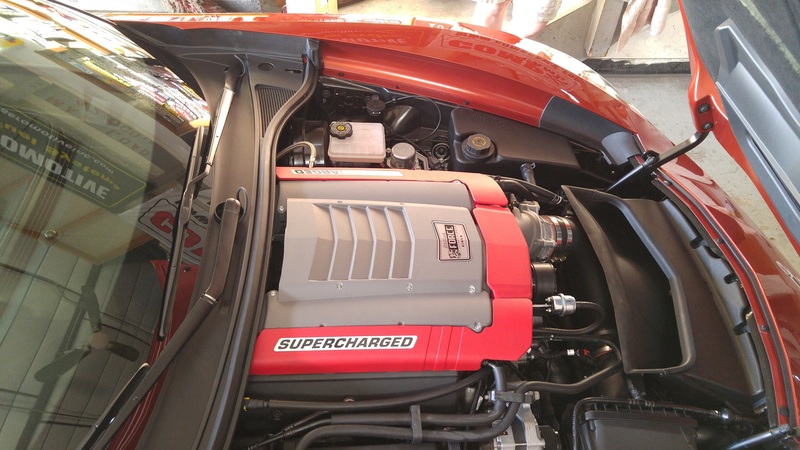 If 460 horsepower from the factory is not enough for you... then Edelbrock E-Force C-7 Corvette Supercharger systems are what you need for your Stingray. These systems are designed with the same precision as the new Corvette, making it the perfect forced induction solution for the C7. Best of all Edelbrock E-Force superchargers fit under the stock hood with no modifications allowing you to retain the factory look of this highly engineered masterpiece. 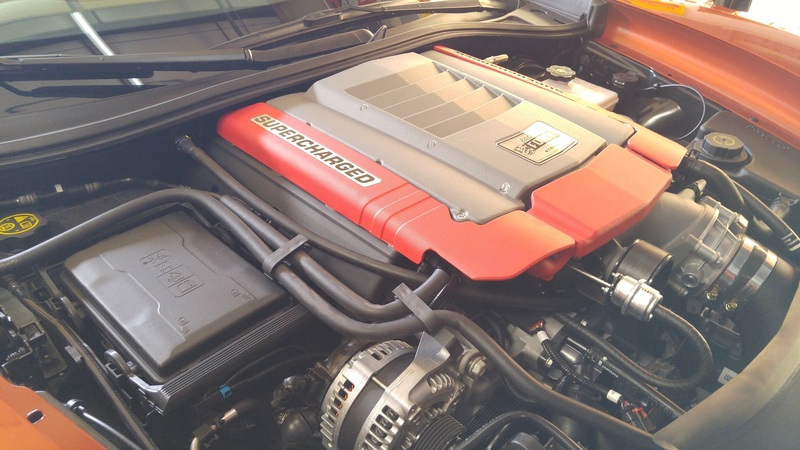 If you want to take your C-7 to the next level then Edelbrock E-Force C-7 Corvette Supercharger systems are what you're looking for! Are both stage 1 and stage 2 having a drive train warranty supported by gm and or installer. Reason being, for 100 more dollars why would one not get 50 HP? Lastly, can the stage 2 be tuned down to a stage 1. For example, to accomdate stock tiress. Not sure if theses things can have psi tuning. If I can go from 6 to 8 or vice versa having a stage 2 and a tuner, then the stage 2 is a complete no brainer. Last edited by 2FAST4U; 05-30-2016 at 11:53 AM. Both systems are covered by an Edelbrock 3 year 36,000 mile warranty (if installed by a certified Edelbrock installer or an SAE certified mechanic) minus the mileage on the car at time of install. So if you have 3000 miles on the car at install your warranty is 33,000. 30,000 on the car 6000 mile warranty. The difference is in the pulleys giving you slightly more boost. Any modifications to the system voids the warranty. Most everyone goes with Stage 2 systems.